St Martin will be familiar to anyone who enters Suffolk from the west, because the flyover of the A14 runs straight past its tower. I wonder what they were thinking of, building a historic church so close to a main road. Anyway, the A14 is the Newmarket bypass at this point, which is rather ironic since the only reason for Newmarkets existence is that a group of 13th century Exning merchants hungry for customers took their goods south and set up a new market on the Cambridge to Bury road. Now the road has come to them. Until the late 19th century, Exning and its new town were on an island of Suffolk within Cambridgeshire, but in 1895 Newmarket All Saints was moved into Suffolk, creating a bridge to the mother ship. Still this bit of Suffolk remains semi-detached, and all the roads out of Exning, except the one into the town centre, lead into Cambridgeshire. 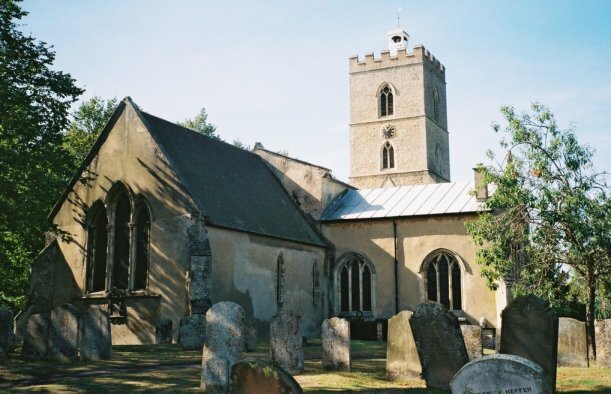 Exning is an ancient parish, claiming both Boudicca and St Etheldreda as its former inhabitants. The Boudicca story is nonsense, and comes from a misinterpretation of the parish name as having something to do with the Iceni tribe. It doesn't. St Etheldreda's connection is that the Liber Eliensis, a 12th century history of Ely Abbey, says that Etheldreda was born at Exning. There's no more than this, but the mention is enough for a 19th century legend to have grown up that Etheldreda was baptised in a local spring. As Peter May observes in his History of Exning, by the 20th century the spring had been renamed 'St Wendreda's well', and in such ways is local history made. From a purely historical point of view, the story is unlikely; Etheldreda was a daughter of King Anna, and the Saxon royal capital was at Rendlesham, right on the other side of Suffolk. However, there is more to the St Wendreda connection than meets the eye, as we shall see. The cutting down by the roads around it accentuates the fact that this is a hilltop site, and so an old one. St Martin is a big church, and unusually for East Anglia it is cruciform without a central tower. We generally dont do transepts, but they did here. The size of the church is increased by aisles north and south, and the chancel is a long one. St Martin gives an impression of straddling its site. St Martin of Tours is one of the patron Saints of France, particularly of the north, but it is not a very common medieval dedication in England; Suffolk does have several more, mostly to the south and east of Ipswich. It may be associated with sites where we know the Saxons were busy. You enter the church through the south porch, and enter the large square nave. Directly opposite, in the north aisle wall, is one of the largest 15th century image niches in Suffolk. 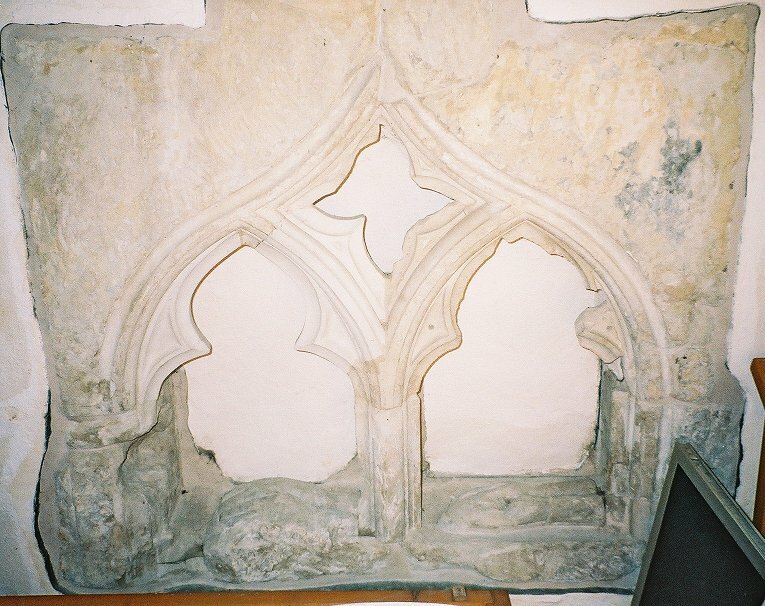 Niches in this position are not common; there is one nearby at Landwade, another big one at Framlingham, and several others in Suffolk. It may be that they were put in place when the aisles were built, so as to replace a wall painting that had previously been on the north wall; in which case they were almost certainly for St Christopher, although this cult does seem to have died down a bit in the cold light of day that followed the Black Death. Today, the niche contains a modern image of St Martin, done by Charlie Hull. If you come back to St Martin after being absent for fifty years or so, you will notice a considerable number of internal changes, because the church has undergone several fairly major makeovers in the second half of the 20th century. These have included the 1960s removal of the organ from the north transept to 17th century gallery, and the conversion of the north transept into a lady chapel. A decade earlier, the south transept was restored, I am told as a chapel of St Wendreda, but it is now screened off as a chair store, which is rather unfortunate. Particularly so, as during the restoration a very rare double heart tomb was discovered, and it is not actually possible to view it without access. However, you can see it in the left hand column. 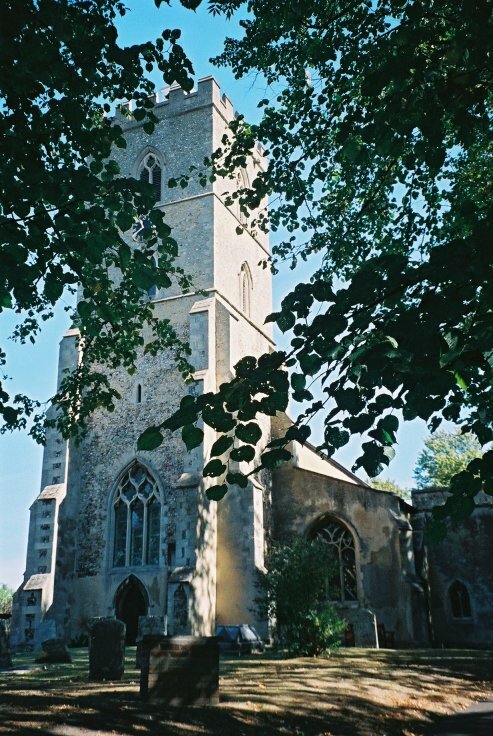 St Wendreda is the dedication of the town church at March in Cambridgeshire, about fifteen miles to the north, and this seems to have given credence to the naming of a local well after St Wendreda. However, the well has only been called so in the 20th century, and historically is much more interesting. In the 19th century it was the mindred well, and earlier still St Mildred's well. Mildred was a cousin of Etheldreda, so perhaps there is something in the legend after all. St Mildred is a rare dedication, because it was so early and was later superseded, but she had a church in Ipswich. There is no evidence that anyone called Wendreda ever existed; she appears on the screen at Woolpit, but this is almost certainly a 19th century forgery. Perhaps the most striking facelift has been to the chancel, and this is not without controversy. The chancel step has been pushed forward to make a stage as at Felixstowe St Peter and St Paul. This appears to be designed to accommodate a nave altar, although there isnt one at present. 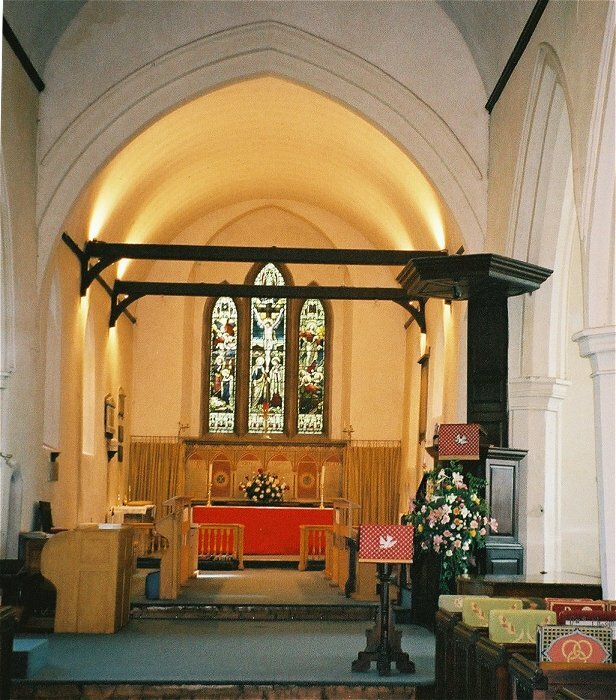 Instead, the chancel still provides the focus of worship. Modern chairs nearly always look good in a church, but at Exning a previous incumbent went one stage further and refurnished the chancel in what I can only describe as the MFI style. Out went the heavy wooden choir stalls, to be replaced by some in light pine. Unfortunately, the prayer desk, which was retained, was painted in a horrible straw-coloured mock-pine paint, which was then distressed to make it look like old wood  except that it doesnt, of course. 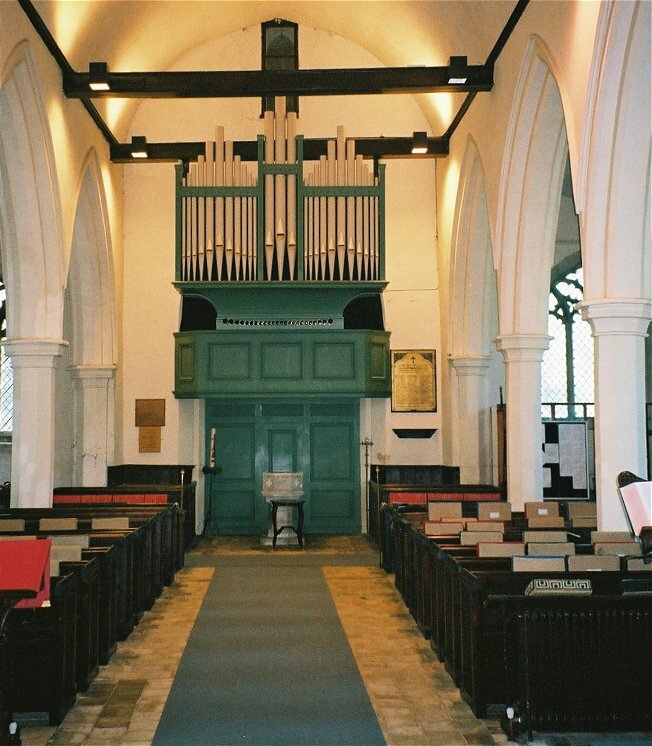 The organ console was also painted in this concoction, and even worse the 17th century altar rails. What can he have been thinking of? 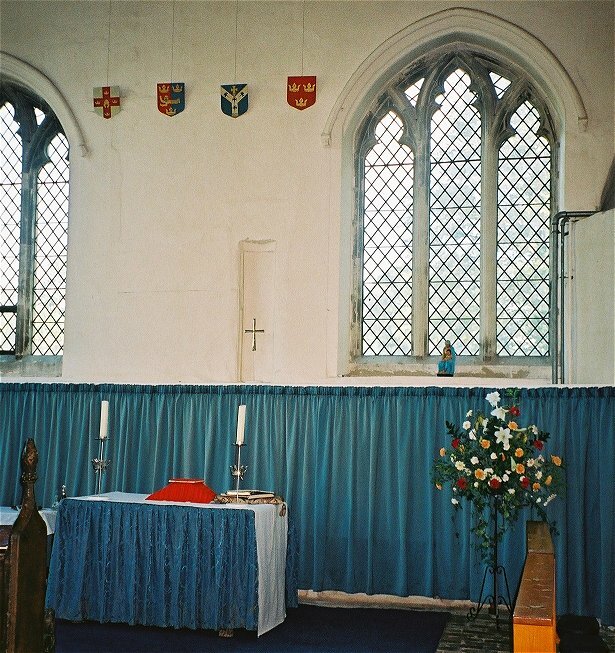 It would have been much more sensible to have removed them; there is no law that says a church has to have altar rails, and they generally look good without them  consider Chevington. The rails could then have been put somewhere that wants them. Well, at least he didnt get as far as the pulpit before the paint ran out. The view to the west is much finer, and the restored organ gallery is really excellent work. Also coherent and lovely is the north transept, where the lady chapel is very simple, and presumably used when the congregation is small. 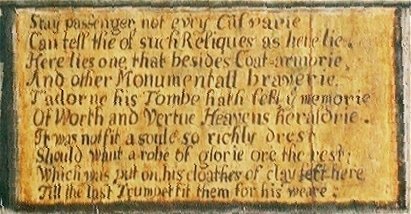 Two other features of interest here are an unusual 17th century memorial board, and the benches below it. 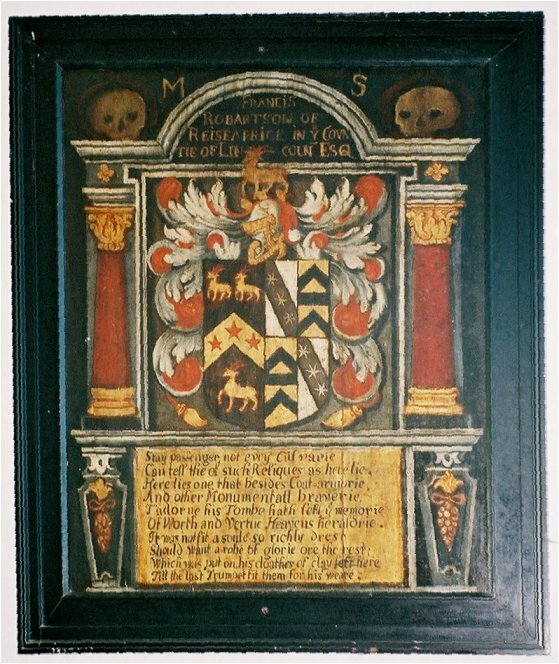 The board is to Francis Robinson; you can see an image of it in the left hand column, and the detail of the inscription below. The benches in the nave and aisle include some that are very late medieval, and, as Mortlock observes, this may be because they replaced an earlier set. 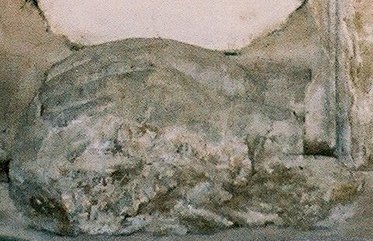 Evidence of this is the one in the south transept that is late 14th century. The modern bench behind it is not a wholly successful imitation, but the right hand poppyhead is rather striking; apparently, it is usually referred to as the Simpsons pew. 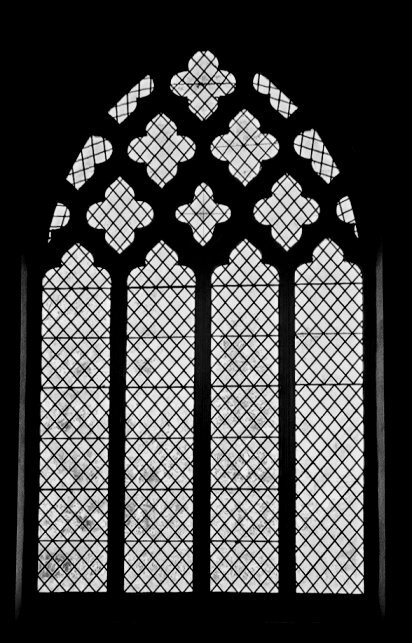 All in all then, a large church, not entirely in a happy state thanks to a less than successful reordering of the chancel, but full of promise, and apparently full of people too.